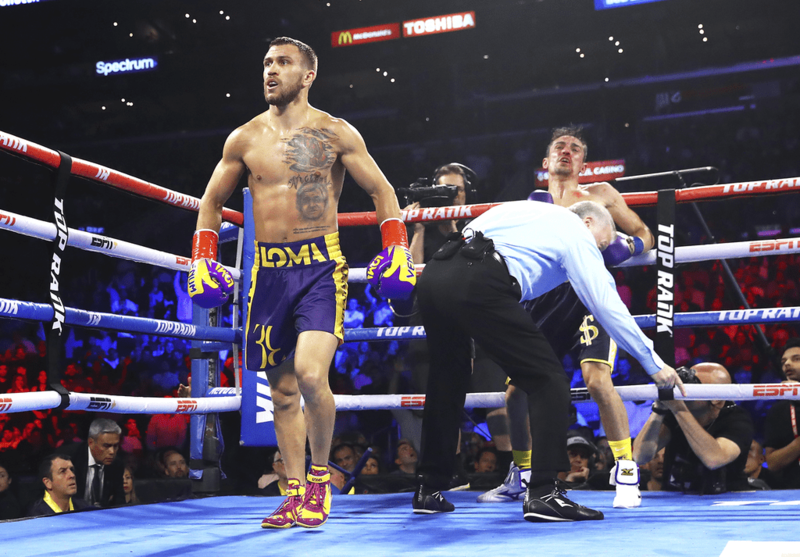 As Anthony Crolla pawed for consciousness, his right cheek stuck to the floor like a kid looking beneath the sofa for a lost Lego piece, those who scoffed at the legitimacy of his challenge to Vasily Lomachenko unholstered their weapons and got to work. I’m sure, as the smiling Mancunian drew himself back up from the dark seabed the dazzling Ukrainian’s final temple shot had plunged him too, his first thought wasn’t about the men who should’ve been in his corner. In to who’s stead he had stepped. 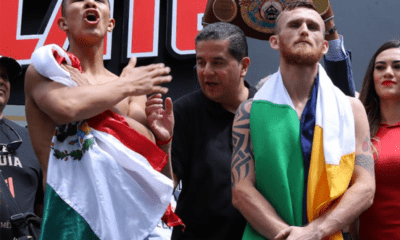 It isn’t Crolla’s responsibility to get Mikey Garcia to turn back from his ill-advised trip to Welterweight, nor convince Gervonta Davis that the risk of being iced is more valuable than the ‘ice’ he bought with his Hugo Ruiz purse. Those are the fights required to test the limits of Lomachenko’s apparently insurmountable gifts, but they are, it would seem, not available. An era of unprecedented pay cheques for fighters; the great, the good and the mediocre too, has led more fighters to the promised land of financial independence. Life changing money. Retirement money. That’s a good thing. Too many fighters, all time greats among them, are left as shuffling hobos. A sad tale that will continue to occur despite the arrival of money but perhaps, perhaps, reduced by a baker’s dozen or two thanks to the deep pockets of DAZN, ESPN et al. 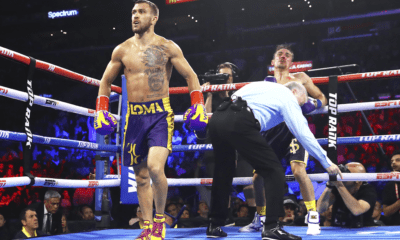 As a critic of the weakness of some of the opponents fighters Joe Calzaghe and Wladmir Klitschko faced in their long and illustrious careers, it would be remiss not to acknowledge the leagues that exists between the talent of Lomachenko and Crolla. Similarly, I mustn’t let the solidarity with a fellow Brit obscure my perspective. 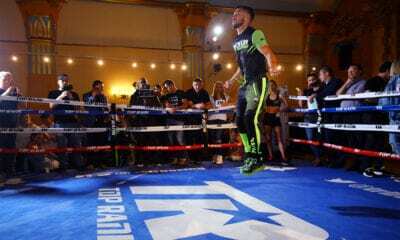 However, according to all of the available metrics, and the rankings of the most prominent compilers of such lists, despite their acknowledged flaws, Anthony Crolla was a top 10 contender. There are occasions when the number one is too far removed from those beneath him for his own good. Dominance belittles those who pursue his crown. It also encourages cowards to demean those willing to try and bridge the chasm between 8th and first. To discourage those who dare to dream where realism shouts loudest. What would these observers and armchair critics prefer, yet more inactivity for a champion and a return to domesticity for the would-be challenger? Had Crolla opted for a more even match he would have been mocked for his lack of ambition. 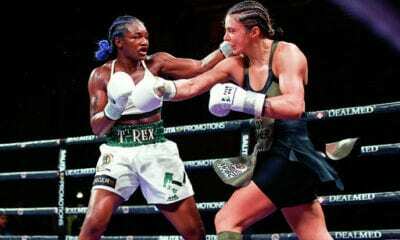 Fighters, as paradoxical as it appears, can never win. Defeated again, Crolla, aged 32, must now contemplate retirement and avoid the need to resurrect a career which has reached heights few could contemplate when he was bamboozled by Yorkshire based Syrian Youssef Al-Hamidi a decade or so ago. Vested parties will seek to redeploy him, to script a narrative that insists he deserves more than to leave the sport ‘face down’. It is a circuitous tale, one I advise him to ignore, he has enjoyed success, earned well from his talent. And can leave fulfilled. Content. That rarest of feelings. He must resist the addiction. The sense, like the one gamblers endure, that insists they keep on betting until their means are entirely spent. Where success simply extends their stay at the table. Enslaved by their addiction. Anthony can accomplish no more. Rekindle no more. Train no harder. Get no younger. 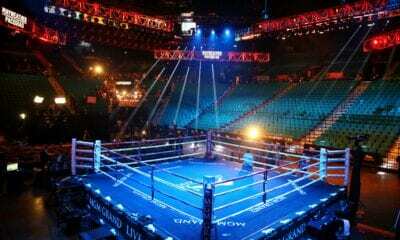 Lomachenko meanwhile. There remains much to do. Alas, his would be nemesis remain far more reluctant to dream than the less gifted Englishman he dismantled last night. Who wants a shot at Tevin Farmer?